A collection of thoughts that Mas Sajady shares with his Newsletter readers. (04/13/19) The last couple of years has provided an opportunity for me to reflect on the difference between power and force. Through these reflections, I’ve realized how important it is to be able to detect the influence of power versus the implementation of force. As this wave of awakening hits our planet, I believe it is a skill we all need to cultivate. (04/01/18) According to Wikipedia, the New Testament states that the resurrection of Jesus, which Easter celebrates, is a foundation of the Christian faith. The resurrection established Jesus as the powerful son of God and is cited as proof that God will judge the world in righteousness. Not exactly sure why the resurrection established Jesus as the son of God. However, his resurrection where he appeared in the flesh in front of his disciples after his death can be explained through Exponential Intelligence (EI). Individuals who achieve the higher level frequencies such as Jesus, Buddha and many others do not go through the process of separation as in a standard method of death. They have the ability to vibrate at such high frequencies that they transcend into the "lighter" spirit body. For Jesus to reappear - he merely slows down his vibration to the visible light spectrum where he can be detected by the human eye. This can and does happen. Another plausible scenario is that he didn't die on the cross at all and actually showed up at his disciples' door in human flesh. Perhaps to say goodbye before he treks out to a foreign land. Either way, in this upcoming 21 day Medihealing that starts on Easter and a full moon I will help you to pull in the powerful frequencies that are circulating around this holiday. As a note, this is nothing religious and can benefit all faiths and non faiths. More on Jesus's resurrection on the demystify religion series of my podcast Exponential Intelligence coming up. (03/03/17) During the Valentine’s Series Oracle Circle, “It's Complicated”, we had a complaint that I was going off subject. I loved the feedback. This individual spoke up and disagreed with me, rather than keeping it bottled up and staying mad beyond the completion of the event. From time to time I hear comments, complaints, or concerns that could have easily been asked of me at the time of relevance, but weren’t. By staying quiet, these opportunities of self-discovery are squandered' - and at times turned into detrimental beliefs, which destroy. This is similar to carrying the burden of a hurtful moment for years, possibly even passing the frequency of it onto future generations. If only the initial incident had been discussed, the individual may have realized their perception that lead to feeling hurt, in truth, originated from a mere misunderstanding. My staff pointed the Oracle Circle comment out to me, as I always prefer to take other’s thoughts into consideration. I transparently responded to the comment, and was also reminded of idiosyncrasies I’ve observed in individuals who take longer, and/or have a harder time transforming. These observations are something I’ve been wanting to share for awhile. If you often have issues with others, or always feel life gives you the short-end of the stick, take a step back to study the details. Are you often complaining, pointing fault, or feeling like a rebel - where you have to stand-up for yourself, and fight for your rights? Are you doing so because (a) you really want to have a clearer understanding, or (b) you want to protect your beliefs, which may be based in insecurity. Do you find yourself often feeling hurt interacting with people? It could be your spouse, the cashier, or even a stranger passing by? What is the emotional charge, and where is it coming from? Is the concern valid for the current experience, or is it being amplified by a past, unresolved, and possibly awful experience? Where is the understanding of your belief coming from? Did you do valid research, gaining a holistic understanding - or does it come from your life experience? If you find it comes from life experience - has this area of your life, for which this belief is being supported, been beneficial for you? This exercise is a great way to overcome insecurities and embrace change. As you ascend, higher transparency, being 100% truthful to yourself, is key for advancement. I know there are questions you would like to ask of me. Business or personal. Here is your chance. Email us at customers@massajady.com (Subject: Mas Note Question) any question you have about me, and I will answer it in an upcoming forum, podcast or live on a free call. This is a great opportunity for us all. (11/18/17) I'm on the Eurostar to Paris after an exciting and rewarding U.K. tour. The 2 hour journey traveling at 279 kilometers an hour gives me time to ponder on the success of my business clients and how Pure Source provides flawlessly for the ones that stay on the right path. Many of you who have become abundant using Exponential Intelligence (EI) can relate to my observation. Isn't it amazing how the people, situations, and anything that is needed orchestrate in perfect harmony for your wellbeing? 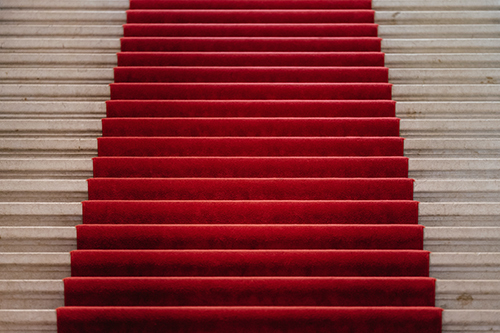 It's as if a red carpet is rolled out wherever you go. Don't get me wrong you still do the work However, people instinctively honor and respect the oneness that you've become, as they graciously help you along your path. At these pure levels there is no need, nor room, for ego, control, or belittling. The rise to your brilliance does not include trashing, envy, or the myriad of ways people viciously compete - clawing their way to the top. There is no need for this paradigm of success. The journey is between you and only you. There is more than plenty for all those who make it. If you have any of the before mentioned symptoms, including feelings of righteousness, take a fact check. It's as obvious as night and day that you are using the wrong success paradigm. Life becomes a downward spiral for the lost souls who have walked this path. The vengeance against others to claim your glory will be magnified upon your own life. The spoils of your own war will destroy you. Stay on the right path and Pure Source will provide flawlessly. I'll be talking more about the EI business paradigm in the upcoming EI MAStery call. (09/15/17) Recently, I was made aware that Louise Hay passed away in her sleep. 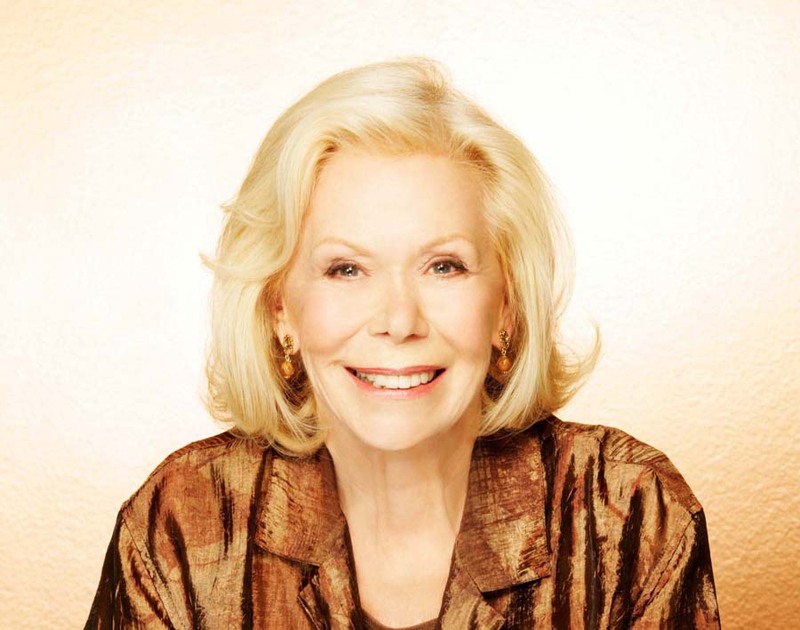 Louise Hay was the founder of Hay House, one of the largest publishers of motivational and self help books. I'm not going to delve into how she transformed her life from one extreme to the other. For your own benefit, I recommend you read her exceptional story of courage. I would like to shed light upon observations of her methods, and her message to me. Astonished is the word that comes to mind on how she transformed her life with the tools available at the time. I'm not saying in anyway that the tools she used were wrong; however, compared to Exponential Intelligence (EI) they were rudimentary. You can compare it to advances in navigation. In days past, we used paper maps and asking along the way. Nowadays, we plug the address into our conveniently accessible phones. Voila! … we get the turn by turn directions, spoken to us in the gender and accent of our choice. And we wonder how we ever could have done without. Let's take this moment to thank and bless Louis Hay for her incredible contribution to human advancement. (07/26/17) Justin Damond, a brilliant spiritual mediation teacher died this past weekend. I met Justine briefly at the Lake Harriet Spiritual Community. A spiritually bright individual who had unearthed nuggets of knowledge on how the mind works. She had a fantastic gift of combining quantum physics and spirituality into a message that was transformational. At the level we are, we can never truly grasp why someone at her prime has to leave this realm. However; this does not mean that her desire to make the world a more enlightened place has to end. Let's all carry the torch of awakening and burn it even more brightly to honor her as well as humanity. Exponential Intelligence' Free Podcast Episode #103 is a Medihealing dedicated to Justine and burning our own light brighter. Enjoy. (06/29/17) I was in a New York city taxi cab, as my attention was drawn to the taxi's TV monitor. The commercial was of Kurt Russel's appearance on a TV show. He was saying why despite being in an industry known as heartbreak city, his long time love affair with Goldie Hawn has thrived. Laughing through his answer he explains, "It's because love conquers all". Interestingly enough, the featured magazine article on my flight was about Goldie Hawn. Looking at photos of the two I could instantly tell that they are, and have been, truly in love. So does love conquer all? If so why hasn't it worked for you? What's missing in your relationship? What's their secret to timeless love? The secret and the magic will be shared with you at our Portland event 50 Shades of Great Relationships. For now, take a look at their picture. Try to sense what I was picking up on. If you can sense it, then It will be easier to duplicate it into your own life. Don't worry if you can't. I can help with that. Comment on what you sense on FB or Instagram, and if you are close you could win a prize. As I end, I want to congratulate Kurt Russel and Goldie Hawn on the perfect example of an Exponential Intelligence love. Listen to my free podcast Exponential Intelligence to know the what of life and how to have it all. (06/28/17) To all our Muslim friends happy Eid. Eid means ‘festival of breaking the fast’, It marks the end of a month long fast called Ramadan. Although you may not be Muslim you can take advantage of this tradition. Fasting from sun up to sun down for a whole month. That builds discipline, fortitude, commitment plus many more redeeming qualities that we all could use more of. It's not just about Ramadan. There are traditions in every religion and culture we can use to help connect us to pure source even stronger. Too many people get hung up and stay away from anything that's outside their religion or culture. Take the opportunity to learn no matter how it appears. Don't limit your potential. This limiting mindset also creates separation between humans. If you want to become one you have to act as one. (6/18/17) Father's day is a very special time for me. Not because of the customary things we do to celebrate the most important role a man plays in the course of his life. It is because this gives me an opportunity to gauge how effective I was as a father. Did my kids learn, did they display more confidence, character, judgement to be their best self? What character flaws did they pick up from me or others? What could I have done better? Many parents see their parenting role as a burden, a sacrifice. I see it as an honor. You are responsible for shaping the future of humanity. Not a role that can be taken lightly now that you understand the consequences of your effort or non effort. The responsibility of fatherhood starts well before you impregnate someone. I'll be doing a Father's Day Special coming soon for 1) removing your father's issues 2) developing the traits of a strong yet sensitive father. (5/14/17) I wish every mother an awakened Mother's Day. But first, let's understand how a mother is defined. It takes much more than a biological function for someone to truly qualify as a 'mother'. A true mother gives time, energy, resources and love to nurture us so we become our best possible self. Also, how many of us received nurturing from a grandparent, sister, teacher or other females. How many were nurtured by a male figure? Perhaps we can expand Mother's Day to include all the special individuals who were the nurturing source for our growth. For some of us who did not get the nurturing we needed from our mother, hopefully this Mother's Day gives us the opportunity to heal, so we can grow and become complete. Whatever your experience, may this Mother's Day be a blessed one. (5/10/17) I'm in the beautiful city of Paris, France and I'm told that my abilities feel more potent than ever. Maybe it's the food or maybe it's the people. Could it be that deep underlying frequency that envelopes the city and the people within? The frequency of being the best that you can be. Not at any cost, not by trampling over its citizens and their rights, nor by destroying other nations and resources. But by being the best as an honor of protecting its citizens and human rights - not just of its own, but as an example for the world. Of course, there are always areas that can be improved upon. This doesn't negate the fact that this underlying frequency still exists. Maybe that's why I'm here in France. To help shine the light of this frequency even brighter, just like its city lights. (3/7/17) Hi, This is Mas Sajady, instead of posting a Mas Note on what I notice today, I'd like to share with you a brilliant 'Notice What You Notice' quote from The Dalai Lama: When asked what surprised him most about humanity, answered: "Man! Because he sacrifices his health in order to make money. Then he sacrifices money to recuperate his health. And then he is so anxious about the future that he does not enjoy the present; the result being that he does not live in the present or the future; he lives as if he is never going to die, then dies having never really lived. (2/28/17) You hear people of all creeds, political agendas, religious or spiritual view points say they are doing God's work. First and foremost God (Pure Source) does not need you. Being all knowing all powerful why would God need a lowly human to do work, spread God's message, purify, ethnic cleansing and all the other excuse we use in God's name. Men of power whether political or religious have killed millions doing God's work. Does that mean that these so called crusaders are cleaning up God's f@#k-ups? I can assure you that if God had not decreed free will that all those "working for God" would be fired. More on this on My podcast Exponential Intelligence soon. (2/22/17) With the work that I do sometimes I see strong negativity from the family/friends of my clients or the clients themselves at first. They have accused me of doing or being many things, from brainwashing people to being the devil, especially when the results are fast and effective. So why the initial animosity? For clarity I'll use an example. Say that your foot is hurting. Hoping it will go away you ignore it or try to live with it. Time passes your foot turns red and swollen from the infection. Forced to do something you take a closer look. Upon inspection you can feel that something has punctured a hole in your skin. Grabbing a magnifying glass you zoom in on the problem. On focus you find a huge thorn wedged deep under your skin. With tweezers in hand you pull the thorn out and awe relief. Question, was the cause of your pain the thorn or the magnifying glass and tweezers? I'm that magnifying glass that helps you see the real cause of what's under your skin and like tweezers I help you pull the cause out. You can guess what the thorn signifies. (2/2/17) I titled this post True Lies of Wealth because there are so many misperceptions about wealth that have existed for centuries that they are believed to be true. Look for the full conversation on my podcast Exponential Intelligence coming soon. This post is a brief to be used as inspiration to release yourself from the shackles of lies that have kept your life and spirit in poverty. If money is the root of all evil, why do almost all religions and spiritual institutions use it to support their mission? If they are using tools of the devil then one would assume they are supporting the dark side correct? Why do mothers, especially religious ones want their daughters married off to someone successful and wealthy? Why do the masses spend most of their lives trying to have money? If egomania, arrogance is a sign of wealth, why are there so many egotistical jerks who don't have money? If becoming wealthy from your spiritual practice denotes that you are corrupt, working with the dark side and have no real healing abilities, then why are there so many healing providers who never become wealthy from their spiritual practice are sick, possessed and have ineffective abilities? Why are the rich considered greedy when over 90% of donations, charities and taxes are contributed by the wealthy. Why do so many struggling healers warn people that money leads you down the path to hell and that's why they stay away from it, all the while offering services that help you remove your money blocks? Moreover, if their methods didn't work for themselves, would it work for you? Why do politicians pit us against the rich when they are the ones who create theloopholes for the wealthy. I could go on and on about non-sensible beliefs about wealth that have kept you from living abundantly in this life and after. There's no true lack of wealth, only true lies of wealth. I'll get into the details including a Medihealing to help you remove the myths in the upcoming podcasts. (1/26/17) Hi all. It's been a fast 5 years. Our growth as a company from the standpoint of any industry has been phenomenal. My personal journey into ascendance has been hypersonic. Of late I have noticed a disturbing pattern with those in the advanced stages of connecting to Pure Source. For definition, this is where you are more than 90 percent past detox of stages 3 or 4. More on the details of this later. The feedback I am getting from the advanced group is that they are being attacked or threatened by certain individuals. Some of you are perhaps aware of the accusations they have accused me of. My Exponential Intelligence Podcast #82: Ascendance - What to Expect is an introduction to this topic. I will go deeper into the subject matter, including addressing the accusations I am facing in the podcasts coming up. Keep an eye out for them to help stay protected. (1/10/17) I was thinking about the flow of life as I was walking on a mountain ridge in Breckenridge, Colorado this past week. The temperature was a stinging -6 Fahrenheit at the base, which was approximately 2000 ft lower from where we were walking. Up here anything would freeze almost instantly, including exposed flesh. Being the highest ski resort peak in North America there is nothing to stop the howling wind that would knock you over with its gusts. I have to give credit to those who climb the Himalayas. I was thinking that the flow of life, or more scientifically put the flow of space-time, would keep on going. It wouldn't stop for a second, let alone hesitate if I gasped my last breath from the oxygen deprived air. The blowing snow would effortlessly cover my frozen body in no time without hesitation. In extreme life threatening situations there is a sense of matter of factness in your thought process. Emotions become non-existent. It's because those situations draw you into the present forcefully. More on this effect on a later post. As space-time consumes you, the worthlessness of your desires, needs, expectations, become apparent. Your ego adorned with charms of the physical realm... money, power, knowledge... decimated. Space-time, or what you call life, doesn't give a damn about you. It continues on without regard to you and yours. I bring this up because in an extreme situation it's obvious to see the obvious. But what I want to highlight is that the same thing happens in everyday "normal" life. The flow of space-time (life) just doesn't give a damn about your physical adornments of wealth, security, etc... it will only acknowledge the real you. (12/28/16) I never want to tell people what to do because it's your life and you are in control... supposedly, but have yourself an ecstatic New Year. We've had lots of feedback on the subject of Christmas. People reunited with their families finding the familiar scene was very unfamiliar. The old patterns weren't their anymore. Congratulations. The New Year is right around the corner and it is a great time to celebrate the new you. The best way to come into the new you is by celebrating just the way you are right now. You don't have to force your self to love you. All you have to do is be aware of yourself and just be with you. That's it. Soon enough the New You will be ringing in the New Year.